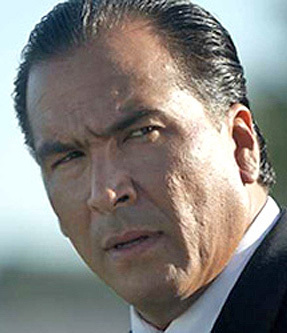 Eric Schweig is of Inuit and German heritage. When he was an infant he was adopted by a German family and lived near Inuvik in the Western Arctic until he was six. From the cold north, his adoptive family moved to Bermuda where they lived for several years before returning to Canada where they settled in Northern Ontario. At the age of sixteen, Eric left home and for a time supported himself by working in the home construction. He made his acting debut in 1987 when he won the role of the Shaman in an Ontario Stage production of The Cradle Will Fall. His film career began when he was cast to play the role of Uncas in the Twentieth Century Fox feature film The Last of the Mohicans.